Ladies and Gentleman, Girls and Boys... Say hello to THE perfect hairspray. 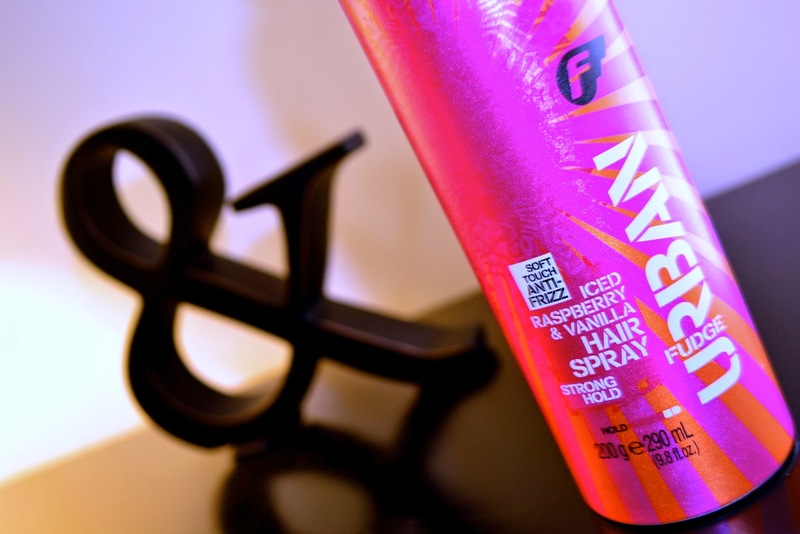 Fudge's latest release of the Urban Iced Raspberry & Vanilla Hairspray really does tick all the boxes, giving more than just long lasting power. NO MORE CRUSTY HAIR: We've all experienced that moment where we've finally perfected our perfect hairstyle, then we do a quick spray of our hairspray then bingo, welcome crusty hair. Well, if you spray this a fair distance from your hair, that won't happen. Perfect hair that stays all day... yes please! NO MORE UGLY SMELLING HAIR: Little Miss Entrepreneurial me, alongside the whole female population, have all had a brainstorm about the how great it would be to have a hairspray that didn't smell absolutely disgusting. Gotta admit, you can't really smell the Iced Raspberry and Vanilla in this but it's a lot better than the other hairsprays I've tried! Can I hear a hip hip horray? With all the points above paired with long lasting power and cool packaging, it really does meet all the citeria of being THE best hairspray on the market. If you guys have tried it or any other hairsprays that you think gives Fudge's hairspray a run for its money, let me know!